Travelling Times: Is Colorado Due For A Big Snow This Year? 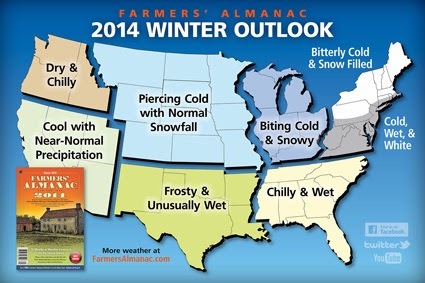 The Farmers’ Almanac has long been a trusted source for long-term weather updates. Other lesser known sources try to provide the same long-term weather forecasts but often times they are just using the information that the Farmers’ Almanac provides. Well, this year the trusted publication is predicting a very cold winter. They say that below normal temperatures will soon sweep the nation east of the Continental Divide. While that doesn’t include all of Colorado, it does include most of it including the Denver metro area. As far as snow fall goes, it looks like it’s going to be a pretty normal winter for Colorado which means the metro area will get some snow and the mountains will get enough to make skiing on fresh powder a regular occurrence. There are some parts of the country that are going to get hit with massive amounts of snow but Colorado isn’t one of them. The Midwest plains and parts of New England will find themselves in a winter wonderland several times this year. One prediction from the Farmers’ Almanac that is interesting to note is when they are predicting some of the nation’s fiercest winter storms, in March. That’s not too unusual for Colorado. Anyone who grew up here most likely has a memory that includes both spring break and a winter storm. But, they are saying that it’s not just Colorado that will see fierce winter storms this time of year. The entire country is expected to experience storms will all types of precipitation and heavy wind all throughout the month of March. The prediction of this year’s Colorado winter might be sad news for school kids in the form of fewer snow days. But, that doesn’t mean we are in for a mild winter. The Farmers’ Almanac targeted Colorado specifically as an area that will see bone-chilling temperatures throughout the season. Now might be a good time to stock up on your winter clothing and check to make sure your home is ready for a brutally cold winter. Bust out the hot chocolate and scarves, winter is almost here and it looks like it’s going to be a rough one. This article was brought to you by SummitCove.com. Summit Cove is the premiere source for vacation rentals in Summit County, Colorado.